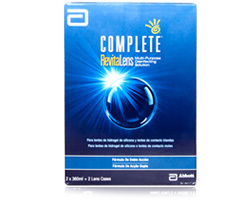 New COMPLETE® RevitaLens Multi-Purpose disinfecting solution, rinses, stores, removes surface deposits, including lipids and proteins, and re-wets silicone hydrogel and other soft contact lenses. 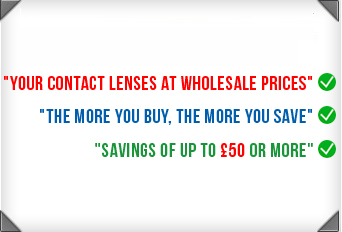 ContactLensesExpress.co.uk provides all types of multipurpose contact lens solutions with discounts. Remember, a 'rub & rinse' can remove up to four times more unwanted deposits from your lenses, compared to rinsing alone. Always follow your Eye Care Professional's instructions for clean and hygienic contact lenses.